My daughter has always had issues with her behavior. We are really working on getting her situated and helped before the new school year, but my husband and I really want to address every possible issue before going the medicine route and this book was just the perfect book for me to pick up. Each chapter addresses common causes (or at least common exasperations of) ADHD. It also gives you exactly what to do if your kid (or even you as an adult with ADHD) happen to have these symptoms as well. This book isn't anti-medicine, it is integrative and I always appreciate an integrative approach over going completely to the medicinal end or completely to the natural end regarding the health of my family in any capacity. I have marked several pages to discuss with my children's pediatrician who, as you might have guessed, is an integrative practice as well. The chapters in this book are well organized and divided by symptoms, making it easier to use as a reference for your child's unique situation. 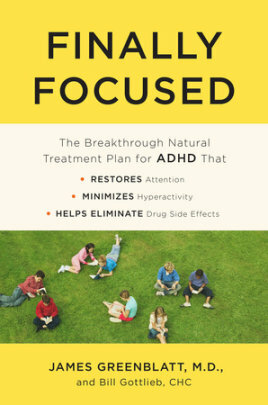 I would recommend this book not only to parents of children with ADHD, but to anyone who works with children at all, specifically teachers and pediatric doctors.